PDF Vasquez, Carla R. 2013. 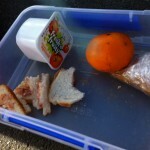 Opening the Lunchbox: What Distinction Looks Like from the Playground. Global Ethnographic. Victoria University of Wellington, M.A. 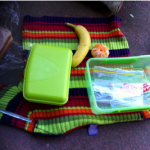 Through an ethnographic investigation of school lunchboxes, this paper explores how health, gender, and ethnicity are understood through children’s interactions. It examines the way children construct, affirm and/or challenge social distinctions and issues of inclusion/exclusion by looking at the contents, concepts, narrative and activities related to the consumption and sharing of lunch food at a primary school in Wellington, New Zealand. The study reveals that children´s lunchbox-related interactions are embedded in moral systems, which allow the lunchbox contents and discourses to be the source of moral gender, and ethnic distinctions. Children can distinguish each other based on their knowledge of and access to ’healthy foods‘, while gender-based ideals are reproduced in the healthy vs. junk food dichotomy. While children reproduce government, as well as family and school structures, the paper demonstrates that children are also social agents in their own terms, who utilize and negotiate these very structures to create their own systems of distinction. It thus contributes to the ‘anthropology of childhood’ (Mandell, 1984; Robinson, 2000; Turner et l., 1995) by seeking to comprehend children’s knowledge on its own terms, and by revealing patterns of socialisation, complex cultural understandings, socio-cultural dynamics, and children´s notions of their own identity and their perceptions of those of Others . 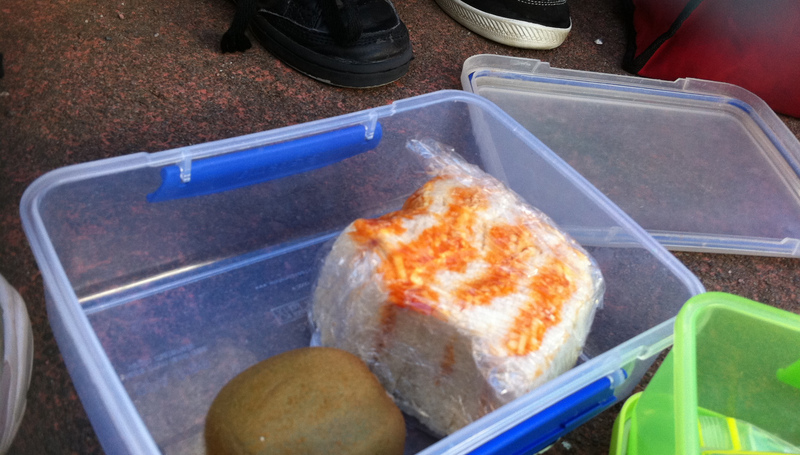 I was conducting participant-observation research amongst 6 year olds in a multi-ethnic, inner city Wellington school when I first encountered a quite novel student lunch. 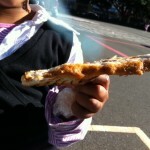 “This is an Indian chicken sandwich” – Quali, the Somali girl who held it, told me. The sandwich consisted of two slices of white bread cut into triangles and filled with Indian chicken her mum made the night before for the family dinner. 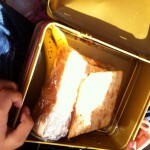 The complete sandwich had then been toasted by her big sister and put in her lunchbox. This was indeed a novelty item in the playground, as most other sandwiches were filled with cheese and ham, peanut butter, and jam. I begin this paper with this chicken sandwich as it illustrates my concluding argument—namely that the consumption of students’ lunches, as I encountered them in this Wellington primary school, embraces normative or ‘mainstream’ discourses and practices that seek to domesticate ethnic and cultural difference. While the Indian chicken attempts luxury, ethnic and cultural distinctions, and thus seemingly disrupts the normativity of the de-rigour ´white´ sandwich, these still need to be concealed in the form of a sandwich. 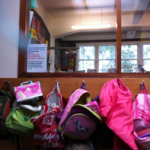 I conducted fieldwork at one co-ed, primary school in one of the most multicultural suburbs of Wellington, New Zealand, for the period of one month. The primary school studied is a decile 3, which according to the ministry of education refers to the relatively low socio-economic background of the families of pupils who attend this school. The school roll includes children from 80 different countries and a total of 242 pupils, describing itself as a “multi-cultural school that connects students to the world in a myriad of ways and with a cultural belief in the importance of people” (school webpage). I conducted participant observation, interviews with the children and teachers, and four focus group discussions within a particular classroom. As part of my research I have attended school and engaged in the same activities as the children, and have spent all morning teas and lunch times speaking with them. As a methodological framework I have adhered to the new sociology of childhood theories (Mandell, 1998) and have aimed to lessen my adult qualities by participating in school activities as a child (i.e. sitting on the matt, colouring, singing), stressing to the children that my role within the school is not that of a teacher, and avoiding any adult like responsibilities (i.e. dissolving conflict, telling children off, telling children what to do). This method was selected with the purpose of understanding the way in which children’s social worlds operate. It was also meant to encourage children to perceive me, as much as possible, as one of them, so that they would reveal practices they hide from teachers but that are of significance to them and to my study (i.e. 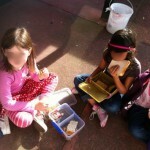 food sharing, as this was discouraged at the schools, or comments about adults). Likewise, this method could lessen the power dynamics experienced by children so that they would not feel pressured to answer my questions (Mac Naughton et al., 2001). 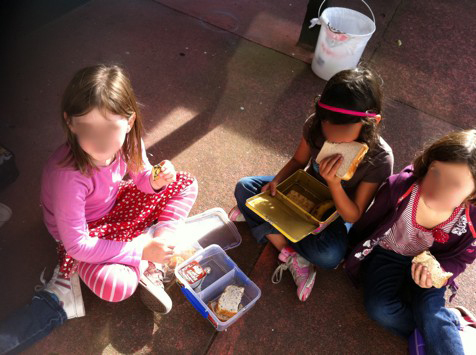 This paper stems out of a broader study that investigated the way in which the contents of schoolchildren’s lunches reflect and indicate their understandings and practices of health, ethnicity and social class in three New Zealand primary schools. The paper draws heavily on Bourdieu’s theories of Distinction (1984), suggesting that individuals and groups engage in material as well as in ”symbolic and social classificatory” struggles, to maintain or enhance their relative standing within hierarchies and ensure their reproduction (Bourdieu, 1985: 725). This paper is also framed around theories on the ‘domestication of difference’ (Hage, 1998; Urry, 1995; Van der Veer, 1996: 321) whereby the cultural, social and political homogenisation of nation-states is purposefully managed through discourses of multiculturalism. As Hage explains, in Australia and other late settler societies such as New Zealand, the rhetoric of multiculturalism emphasises tolerance and equality of rights, and values difference. However, this also determinedly positions ethnically dominant groups as the prime arbiters of ethnic Others within the nation-state, via either proclaiming their inclusion and/or exclusion within the nation, policing tolerance and conviviality between differentiated ethnic groups, or doing the ‘valuing’ of their consumable ‘traditions’. The most prominent feature in regards to food at school is that it is embedded in a highly moralized realm. Children are constantly educated by direct teacher instruction and through school edicts into the benefits of healthy food in ways that re-enforce the notion that they should eat things that are “good for them” such as fruit and vegetables. This notion of ’healthy food’ is often discussed in contrast to ’junk food‘, which is presented to children as bad and fattening. 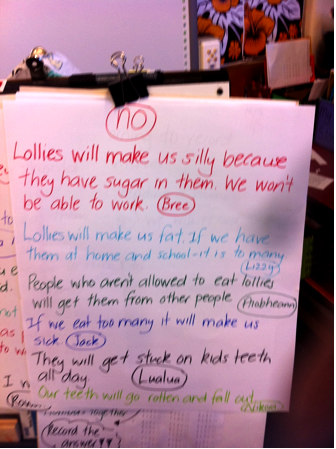 “Lollies make us silly because they have sugar in them. We won’t be able to work”. “Lollies will make us fat. 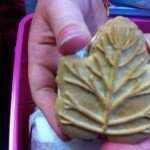 If we eat them at home and at school it is too many”. “People who aren’t allowed to eat lollies will get them from other people. 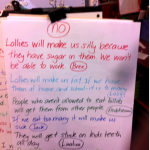 If we eat too many lollies it will make us sick”. “They (the lollies) will get stuck on kid’s teeth all day. Our teeth will go rotten and fall out”. I shall note here that to ‘junk food’ children often relate sugary foods, but I have also heard children and teachers talk about MSG, colouring, butter, and the like, as of ingredients that make food unhealthy. 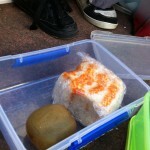 Carla: Does anyone bring weird food (to school)? Mara: That is only because she (Lara) doesn’t eat much healthy food. Carla: Why do you think Lara doesn’t eat healthy food? Mara: Because she doesn’t. I don’t see her eat healthy stuff. Carla: So what is healthy food? Mara and Lizzy: Fruit skins, pears, bananas, apples, strawberries. Carla: Ok, so fruit. What else? Lizzy: Yes, but carrots are a fruit. Others could be cauliflower, broccoli, and salad. I have also experienced events where children accused each other of bringing chippies or cake, saying “you are not allowed to bring those things to school” and even telling the teacher, who then confiscated these items. The differentiation based on the consumption and knowledge of healthy food also serves to reproduce strong gender distinctions that exist within the school environment. This is especially evident in a school regulation that prohibits the swapping or sharing of any foods between students, mostly on the basis that swapping/sharing could lead children to consume foods they are allergic to. However swapping, or more accurately as my participants have often corrected me, sharing, is a well practiced activity in the school playground. I have not observed instances of direct trading or balanced bartering of food, and as such I believe that the term sharing is more appropriate. Sharing can take multiple forms, from students claiming to have a picnic, forming a group circle and putting all of their food in the middle so that it essentially becomes indistinguishable who it belonged to and helping themselves freely to any piece, through to asking others for a chippie, breaking up cookies into multiple pieces to give to their friends, and putting an undesired sandwich in someone else’s lunchbox so that they would eat it. Sharing may also involve bargaining, such as asking for a piece of someone’s sandwich in exchange for someone else´s piece. 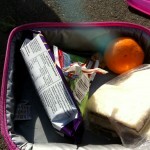 As the sharing of food is prohibited, the activity takes place covertly, in “special hiding places” or via cleverly conducted activities; a picnic, passing food under tables or behind other children, as the children explained. Contrary to literature on gifting and gender that has emphasized that women are the primary gift givers in Western societies (Vaughan 2004; Waring 1988), I was fascinated to notice that the sharing of food at schools took place prominently between boys. This, I believe, is also related to the moralizing arena in which food and food consumption are situated. Indeed, since the sharing of foods is prohibited, it is perceived as a “naughty” activity by the children, and thus morally condemned. If a child is caught sharing he or she is made to pick up the rubbish in the school or to sit in the stairs outside the classroom during class time, making this punishment evident to all others. Boys often appear to be motivated to exemplify their gender by contesting institutional authority through the sharing of food, and thus engaging in a form of rebellious rather than socially facilitating or empathetic gifting. This aspect can be connected to the fact that within the school visited, gender was the foremost important form of distinction amongst the children. This was displayed through boys and girls sitting in different places, labelling items as “a boys thing” or a “girlie activity”, and creating a dichotomized system of identification that connects girls to concepts such as fluffy, cute, pink, nice, well behaved, soft, and so forth, in comparison to connecting boys to hard, funny, naughty, blue, and so forth. Within this dichotomy, girls seek moral capital, a form of cultural capital that constructs and renders moral dispositions natural. Once established as such, individuals can, based on moral dispositions, dispute higher moral/social standing in comparison to others (Valvedere, 2005). Moral capital can be acquired by acquiescing to authority and regulations and thus by not sharing, which further provides girls with higher, institutionally-acknowledged status. For instance, children often received stickers or “caught you being good” cards that would grant them prizes, a form of recognition that is admired by their peers. This correlates with a high moral status that could also be obtained through the eating of healthy foods. Carla: Do you boys always share? Ivon: No, no one is allowed to share. Carla: How do you do it so that the teacher won’t catch you? 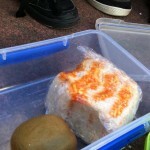 Nikorau: We hide it under stuff, or pass it under the table. Carla: So why do boys share more? Philip: Because boys are cool! Carla: What happens if you get caught? Nikorau: Yeah, yeah, and then you are the man!!!!! Boys are more likely to share food not only because they consider this a boy-like activity, but because even once they get caught for sharing, this act proves their identity as boys, and distinguishes them as the ‘best’ type of boys compared with their peers. This example also demonstrates that symbolic capital, the way in which different forms of capital become recognised as legitimate or authentic markers of social distinction (Bourdieu 1984: 101-116), does not only operate in a positive/negative spectrum, but may refer to aspects that could be understood as negative forms of capital by some, and used by others to create positive distinctions. Teacher: Please make sure you are eating your lunch. Do not give anyone your lunch, especially not if it’s got peanuts, eggs or strawberries, they are not good for some people. 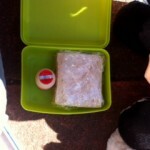 Your lunchbox has in it what your mum has asked you to eat, what she thinks you should eat. So do not give your food to anyone else. Carla: Anawim, do you ever have KFC at home? A: Because my parents say is not good for us to eat. Thus, while Anawim’s middle class parents have a ’healthy food only’ policy, and he is often sent to school with organic biscuits, he subverts this by eating KFC at school. This demonstrates the socialization into, and child’s awareness of, the compartmentalized nature of social life, where authority, edicts, activities and identities are separated and often operate in contradictory ways. Furthermore this results in a friction of habitus (Bourdieu 2005) which the children are negotiating. Carla: Who do you share it with? Carla: What sort of foods do you share? Rose: My milkies, I share them with Bella because she can’t eat milk or eggs. Carla: So how come you can give them to her? Carla: Does she get sick? Rose: No, she is fine. Through sharing, children therefore disrupt parents’ proclamation of their child as allergic to dairy, and do so in ways that also emphasize their identity as friends. For the last section I return to the Indian chicken sandwich, as it represents the capacity that children have for simultaneously creating assimilatory and ethnic distinctions. 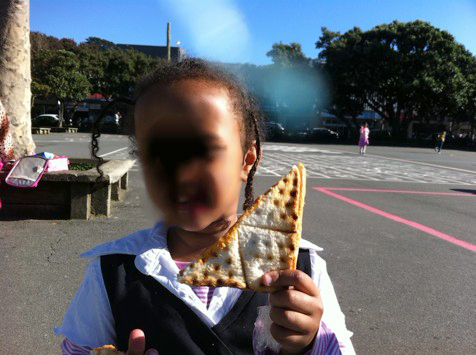 It is important to note here, that while diversity and multiculturalism are enacted actively in some school realms, for instance, children are encouraged to say good morning and are taught songs in different languages, say prayers in Maori and are allowed to dress “in their ethnic clothing” (school guidelines), the realm of food remains highly homogeneous – being essentially mainstream New Zealand or ‘Kiwi’ (Howland, 2004), with sandwiches being the most common food at school. Teacher: What is a good thing to start your lunch with? Teacher: Yes, and then some biscuits or a muesli bar, or cake. You can then finish with a piece of fruit, like an apple, because it also cleans your teeth. In this way teachers also expected that the children will transmit this information to their parents. Carla: I was asking Mary why she doesn’t bring Somali food to school. Teacher: I guess the other children will embarrass her. And also, they mostly eat rice and curries, that sort of thing. So you need a fork and a spoon for that, it kind of gets in the way. Carla: You mean like it would take longer and no time for play? The notion that the school children will embarrass those who bring “ethnic” food was also reiterated by some Somali girls, who explained that their parents did not allow them to bring “their” food because other children would laugh. When I asked them if this was indeed the case, they said that no one had ever laughed at their food. 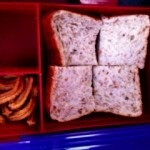 It is thus clear that through multiple discourses, the possibility of bringing food other than sandwiches to school is diminished, in ways that resemble Van der Veer’s (1996) and Hage’s (2003) domestication of difference (see above). However, as the Indian chicken sandwich demonstrates, assimilation can contain elements in which normativization is also challenged. Not only are the children bringing food that demonstrates an ethnic identity, but they are doing so in ways that, significantly, conform to the strictures and structures that have been promoted as ideal and that challenge the way in which their food has been constructed by the teachers. Thus, contrary to the way in which Bourdieu (1984) presented the consumption of foods in minority groups, food in this case is not used to display belonging to a minority group, but it is used covertly within a system that silences diversity in favour of the consumption of foods that are enjoyed by the children. This could be an example of a veiled ethnicity, white on the outside but Somali in the middle (Howland & Rey Vasquez, forthcoming). Carla: What is in your sandwich? Quali: Indian chicken, my mum makes it. I’m from India. Carla: Are there other children from India in the school? Alofa: Yes, Kallim, Natia and Michelle. Carla: How do you know that they are Indian? Alofa: Natia’s house is next to mine. Carla: And are you Indian Quali? Alofa: No, she looks like she is Somalian. Quali: Yes I am Somalian. Carla: How did you know she was Somali Alofa? Alofa: Because she looks like it. Thus, contrary to the way in which food and ethnicity have been theorized by some scholars (Camp 1989; Kalcik 1984; Rikoon 1982) the sandwich does not represent a child’s (Quali’s in this case) single ethnic identity, but several of the identities one can access. 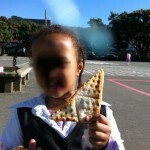 The sandwich can be seen to operate as a form of ethnic distinction, to demonstrate one’s ethnic differentiation from the other children, while also playing with and conforming to the notions of the kiwi sandwich. Moreover, Alofa’s comment underlines the notion that it is not only through food brought to school that children understand each other’s identity, but that they also do this in response to discourses they have previously encountered. Yet, this seeming disruption of hegemonic structures takes place only at a superficial level. While the children bring food that demonstrates “their” ethnic identity, they do so in ways that conform to the rules and structures that have been promoted as ideal. They are, themselves, seeking to integrate or self-domesticate their Otherness within the mainstream, New Zealand paradigm. This is an effort to make their chicken curry palatable (Morris, 2010). This research demonstrates that children form an understanding of multiculturalism, gender, cultural diversity and stratified forms of consumption (luxury, mundane, poor) that allows them to make sense of the muddled ethnic and class identities they face in their everyday environment. By foregrounding the views of the children, it becomes clear that socialization is not a one-way process, but that children engage actively in distinction-making practices, both dynamically engaging (i.e. from reproduction to contestation) the structures provided by adults and institutions, and by creating their own. This short paper illustrates the fertility of the largely overlooked qualities of food as a topic of inquiry within the context of an anthropology of childhood. The few articles available on the topic of lunchboxes (see Allison, 1991; Donner, 2006; Kelly et al., 2010; Nukaga, 2008) demonstrate the value of studying an everyday insignificant object as revelatory of broader societal values in ways that strengthen the empirical use of Bourdieu´s theories. Given the limitations of this paper, several aspects have only been alluded to. These include the scientific or polluting basis for allergies and consumption, a material analysis of lunchbox contents, middle class dynamics and home habitus, as well as the “whiteness” at stake within the ethnicity discourse. I have nevertheless opened “the box” for an intellectual discussion of the interconnectedness between ethnicity, gender and social class and their relation with socialization. I urge for inquiry into these topics through the perspectives of children. 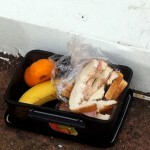 Without such analysis the sandwich remains half eaten. Indian Chicken Sandwich, Image by Carla Vasquez. I would like to acknowledge the intellectual contribution that Dr. Peter Howland has provided for this paper. His work, support and friendship are an inspiration for my research and life in general. Bourdieu, P. 1984. Distinction: A Social Critique of the Judgement of Taste. Translated by R. Nice. Cambridge: Harvard University Press. ———. 1986. The Forms of Capital. In Handbook of Theory and Research for the Sociology of Education, edited by J. Richardson. New York: Greenwood, 241-258. ———. 1990. The Logic of Practice. Stanford, California: Stanford University Press. ———. 2005. Habitus. In Habitus: A Sense of Place, edited by J. Hillier, E. Burlington: Ashgate Publishing Company, 43-53. Camp, C. 1989. American Foodways: What, When, Why, and How We Eat in America. Little Rock Ark: August House. Duque-Paramo, M. C. 2004. Colombian Immigrant Children in the United States: Representations of Food and the Process of Creolization. PhD, University of South Florida,. Hage, G. (1998). White nation: Fantasies of White Supremacy in a Multicultural Society. New York and London: Routledge. Hage, G. 2003. Against Paranoid Nationalism: Searching for Hope in a Shrinking Society. London: Pluto Press. Howland, P. 2004. Lotto, Long-drops and Lolly-scrambles: The Extra-ordinary Anthropology of Middle New Zealand. Wellington, New Zealand: Steele Roberts. Howland, P. J. & Rey Vasquez, C. (eds). Forthcoming. Food, Globalisation and Human Diversity. ICAF Food and Nutrition Series. Berghahn Books, Oxford. Kalcik, S. 1984. Ethnic Foodways in America: Symbol and the Performance of Identity. In Ethnic and Regional Foodways in the United States: the Performance of Group Identity, edited by L. Keller Brown and K. Mussekk. Knoxville: The University of Tenesse Press, 37-65. Kane, J. 2001. The Politics of Moral Capital. Cambridge: Cambridge University Press. Mac Naughton, G., Rolfe, S., & Siraj-Blatchford, I. 2001. 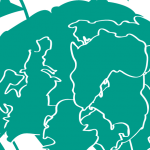 Doing Early Childhood Research: International Perspectives on Theory and Practice. New South Wales: Allen and Unwin. Mandell, N. 1988. The Least-adult Role in Studying Children. Journal of Contemporary Ethnography 16 (4):433-467. Mercon, J. 2008. Nation and Self: The Myth of Substantial Uniformity and the Reality of Exclusion. PhD, University of Quensland. Morris, C. 2010. The Politics of Palatability On the Absence of Maori Restaurants. Food, Culture and Society: An International Journal of Multidisciplinary Research, 13(1), 5-28. Murcott, A. 1996. Food as an Expression of Identity. In S. Gustafsson & L. Lewin (Eds. ), The Future of the Nation State: Essays on Cultural Pluralism and Political Integration (pp. 49-77). Stokholm: Nerenius & Santerus. Ministry of Education New Zealand. 2007. Food and Nutrition for Healthy Confident Kids: Guidelines to Support Healthy Eating Environments in New Zealand Early Childhood Education Services and Schools. Wellington, New Zealand: Learning Media Limited. Nestle UK. 2011. Our Brands [cited 27th of June 2011]. Available from http://www.nestle.co.uk/OurBrands/ProductRange/Confectionery/Milkybar/. Robinson, S. 2000. Children’s perceptions of who controls their food. Journal of Human Nutrition and Dietetics, 13(3), 163-171. Rikoon, J. S. 1982. Ethnic Food Traditions: A Review of Folklore Scholarship. Kentucky Folklore Records 28 (1-2):12:25. Stern, S. 1977. Ethnic Folklore and the Folklore of Ethnicity. Western Folklore, 36 (1):7-32. Turner, S., Mayall, B., & Mauthner, M. 1995. One big rush: Dinner-time at school. Health Education Journal, 54(1): 18-27. Urry, J. 1995. Ethnicizing the World. Paper presented at the conference of the New Zealand Association of Social Anthropologist on “Identities”. Wellington: Victoria University of Wellington. Valvedere, M. 2005. Moral capital. In S. P. Hier (Ed. ), Contemporary Social World. Toronto, Canada: Scholar’s Press. Van der Veer, P. 1996. Conversion to Modernities: The Globalization of Christianity. London: Burns & Oates. Vaughan, G. 2004. Il Dono/The Gift: A Feminist Analysis. Roma: Meltemi Editore. Waring, M. 1988. If Women Counted: A New Feminist Economics. San Francisco: Harper and Row. Pseudonyms are used throughout to protect the anonymity of research subjects. Throughout my research I did not encounter this behaviour in any of the girls. Girls tended to demonstrate their rebellious behaviour in covert ways, by disobeying the teacher´s instructions in terms of what was done in the classroom (i.e. talking in hushed voices while they were meant to be silent). This could be a result of the importance that girls themselves gave to behaving well and obtaining institutionalized recognition. My analysis of children’s and parents’ class is based on my critical observation of aspects such as their clothing, language, estimated cost of ingredients sent in lunchboxes, narratives about activities at home, location and state of the houses where the interviews were conducted, questions regarding their parents’ jobs and short talks with teachers about the “background” of some students. According to Bourdieu (1990: 57) habitus is the embodiment and internalization of social structures. It provides creative directions for future action and allows for the creation of structures, yet, also organize a person’s goals and desires to match the state that they are objectively likely to achieve (Bourdieu, 1977: 164). Friction of habitus emerges when ‘each field (which an individual is part of) is engaged in a symbolic struggle to impose the definition of the social world most in comfort with their interest’ (Bourdieu, 1997: 15). Milky bars are white chocolate bars produced by Nestle that were very popular in lunchboxes, as they come in a handy 50gm packet. Their ingredients guide reads “Milkybar contains the goodness of full cream milk, with nearly half a pint in every 100g of chocolate. It is trusted by Mums and benefits from its association with goodness, purity and security” (Nestle UK). There is however evidence to suggest that this happens and that children of this age are very quick to get their parents to comply with the school norms (see Duque-Paramo, 2004). Indeed Quali was registered as Somali in the school records. She uses here the Indian chicken to first claim an Indian ethnicity, one that she does not hold, evidencing the co-relation between food and ethnicity. As Mintz and du Bois explain “ethnicity, like nationhood, is also imagined (Murcott, 1996) – and associated cuisines may be imagined too. Once imagined, such cuisines provide added concreteness to the idea of national or ethnic identity”.